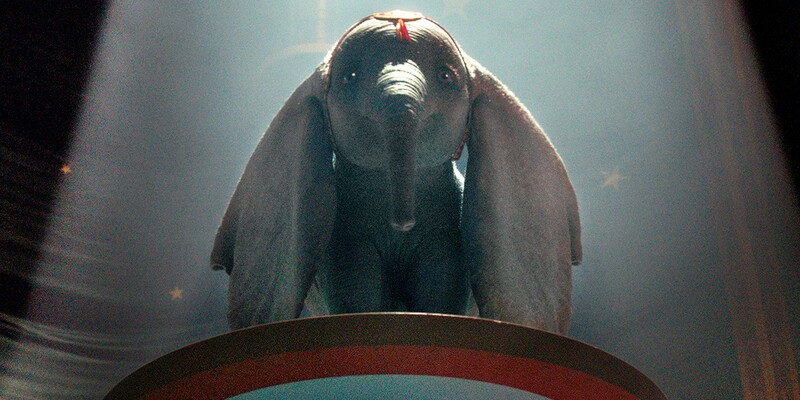 The story of Dumbo, a newborn elephant with a sweet disposition and oversized ears, emerged more than seven decades ago, catching the eye of Walt Disney. The original animated version flew into theaters on Oct. 23, 1941. Now, an all-new grand live-action adventure from Disney and visionary director Tim Burton and screenwriter Ehren Kruger expands on the beloved classic story where differences are celebrated, family is cherished and dreams take flight. Kruger’s favorite Disney film has always been “Dumbo,” and he is excited to share its live-action retelling with a new generation of audiences. While Kruger was determined to maintain the heart of the original film, he knew that in order to make a live-action on feature, he’d have to expand the story. The story of “Dumbo” dates back to 1939 as a planned novelty item called a Roll-A-Book—a box with little knobs that readers turned to read the story through a window. Authors Helen Aberson and Harold Pearl wrote the story “Dumbo the Flying Elephant.” Whether the Roll-A-Book was ever produced is a mystery—none have been located—but when Walt Disney purchased the rights to the story, he published about 1,430 copies of a book version of the story. Originally, the story was to be turned into a short film. But the filmmakers, headed by Walt Disney himself, kept expanding thebfilm till they ended up with a 64-minute animated feature film starring a charming little elephant named Dumbo. In the animated film the story is told through the eyes of Dumbo; the humans in the story were background characters—villains in many ways. Tim Burton’s all-new live-action re imagining not only expands the plot, its human characters are central to the narritive—serving to interpret the baby elephant’s journey in a way that’s wholly relatable. According to producer Katterli Frauenfelder, the filmmakers were keenly aware of the original film’s station in the hearts of people worldwide. Ehren Kruger’s script pays homage to the original film, while taking it in a new direction. Burton takes the beloved classic film from theimaginative and expansive world of animation to a live-action adventure set in 1919 with practical sets, props, special effects and visual effects. Of all the decisions director Tim Burton made during the making of Dumbo, choosing the composer was perhaps the easiest. According to Elfman, Burton has a similar approach to the music in all of hisfilms. “It’s finding the tone,” says Elfman. “Every one of Tim’s films has been unique for me in that way. Whether it’s ‘Big Fish’ or ‘Alice in Wonderland’ or ‘Beetlejuice’—it’s all about finding the tone of the world he’s creating.